Shop millions of items from hundreds of trusted stores, all in one convenient app. Browse, compare prices, and shop many stores at once. Save 20% on your first order. Save with your first order First-time Google Express customers get 20% off (up to $20) your first order. Your discount will be automatically applied at checkout. Easy shopping Whether you’re shopping for home goods, apparel, electronics, kitchen and dining items, health and beauty, sports equipment, or something unusual, you’ll find it quickly and easily with the app. 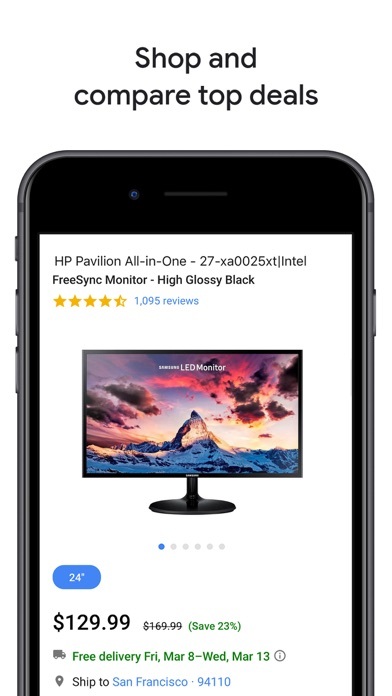 Free shipping and exclusive deals The app helps you save time and money with free delivery and exclusive deals on the go. 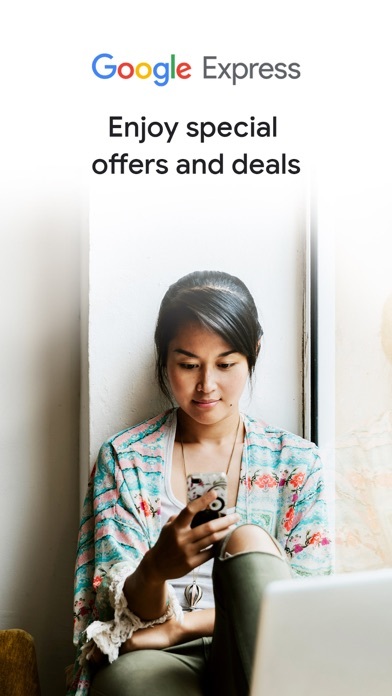 Plus, you’ll save even more with flash sales. Once you place your order, most items arrive in 3-5 days. You can opt in for shipping updates to track the status of your order. 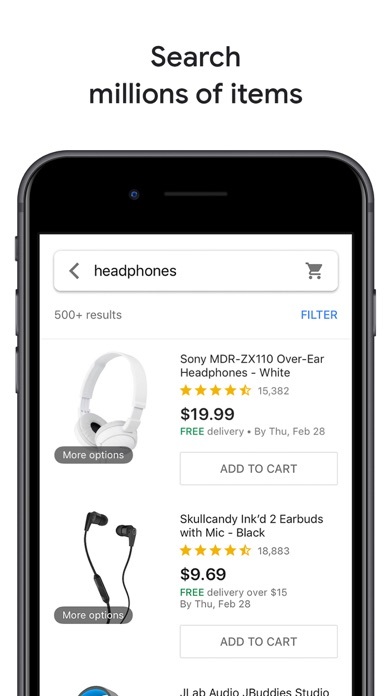 Compare stores, prices, and more The Google Express app brings hundreds of trusted stores together in one app. You can quickly compare prices, reviews, brands, and store availability to find the best option for you. Order with Google Assistant You can also place your order with the Google Assistant. Try shopping by voice using the Google Assistant – it doesn’t get much easier than that. No paid membership needed Google Express doesn’t require a paid membership to enjoy all its benefits and perks. 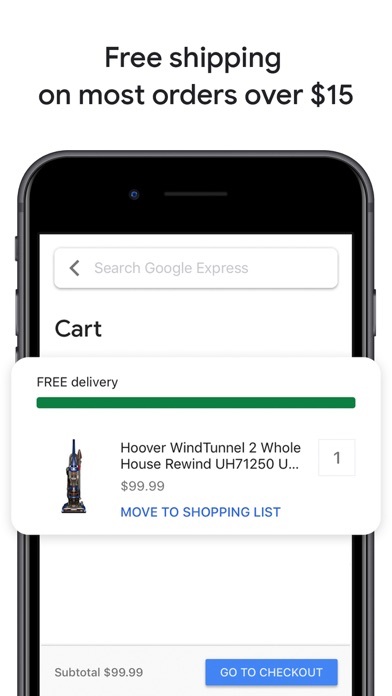 Personalized shopping The Google Express app gives you personalized recommendations, and it lets you quickly reorder your favorite products by saving your order history. It also makes it easy to create and share shopping lists to remind you of things you need. Download the app that puts millions of items and hundreds of stores at your fingertips. All I have are options to buy from stores I’ve never heard from. Prices are all over the place and shipping times are usually in weeks. 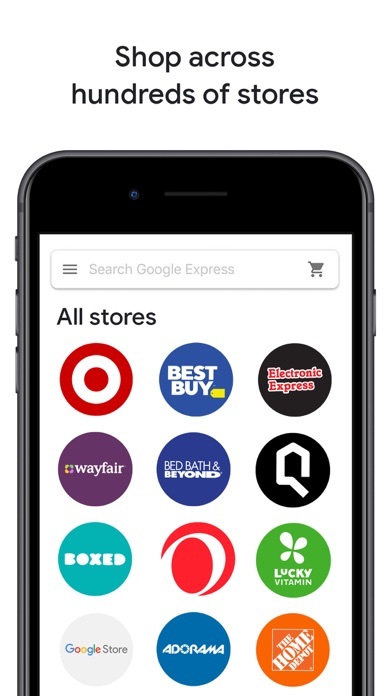 All the good brand stores have left Google Express, probably because there is no value to working with Google. Looks like amazon doesn’t need to worry at all here. They are misleadingly telling you that you get 20% off when it is really $20 off. They get away with this by pointing this out just before you pay. Bought an item using a coupon. Had to return item since it was defective. Google Express rep refused to reissue the coupon. Don’t use express, just but straight from store. Very poor customer service. Don’t be fooled by cheaper items, you are loosing value in the customer service. Just order straight from the source. I tried to place an order and the app kicked it back saying it was declined, but my account was charged anyway. When I called customer service a young lady named D.C was very nasty with me and kept putting me on hold while I was trying to talk and explain the situation. When I asked to escalate the call and speak to her supervisor she told me the supervisor’s were all busy and would call me back in 30-40 minutes. I told her I didn’t feel comfortable with that and I would like to hold. She came back to the call and said her supervisor said that I could not tie up the line and gave her permission to end the call. They have the rudest customer service I have ever encountered. When their website charged my card twice and failed to even place the order the woman could have cared less. Even when you don’t care you have to pretend when a person calls when you work in the industry! Don’t be dumb I will never use this service again because of this woman and how rude she was! No longer offers service for walmart. That's the only reason I did this. Turned off all notification types except Shipment Notifications a long time ago and I still constantly get promo and sales notifications. Terrible, incompetent customer service. One of my worst shopping experiences. Stick with Amazon. You’ll be much happier and save so much time.